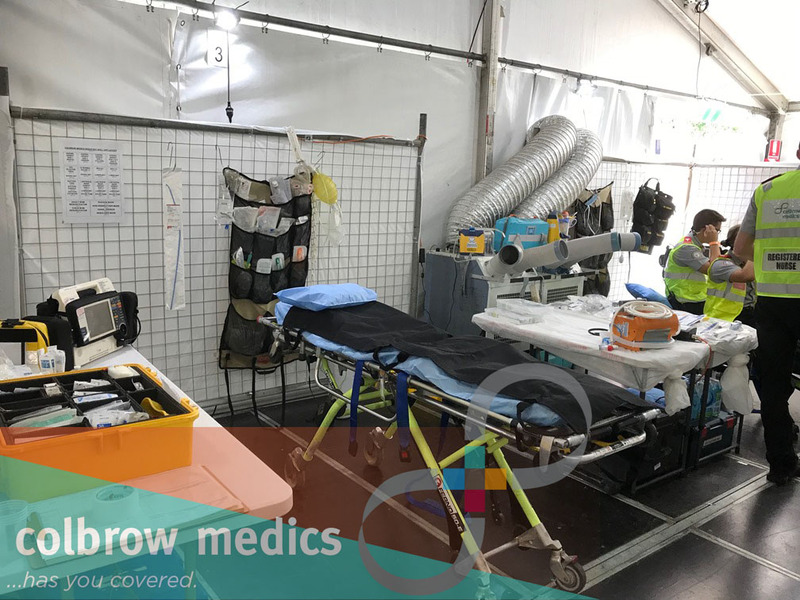 Colbrow Medics was engaged to provide the event first aid and medical cover at a camping, fishing and caravan show when a 46 year old woman came to the first aid post feeling faint, complained of chest pain and requested Mylanta for indigestion. The First Aid Medics decided to investigate further to rule out anything more sinister as chest pain is often mistaken for indigestion. With her first set of observations all in a normal range, the pain assessment tool acronym “OLDCART” which stands for Onset, Location, Duration, Characteristics, Aggravating Factors, Relieving Factors/Radiation and Treatment was used to assess our patient’s pain. With the patient having some RED FLAG signs the Event First Aid Medics decided to perform a 12 lead electrocardiogram (ECG) to rule out any heart disease. An ECG, also known as an EKG, is a painless procedure that is performed by placing electrodes on the skin of a person’s chest, arms and legs to obtain a graphic recording (picture) of the electrical activity of the human heart. It is used as a diagnostic tool by healthcare clinicians to identify and assess a range of cardiac diseases. The patient’s ECG was obtained and showed changes suggestive of a Myocardial Infarction (heart attack). A heart attack occurs when one of the blood vessels that supply the heart gets block due to the formation of a clot. An ambulance was promptly called for this patient as she required urgent medical attention from a cardiologist. Whilst waiting for the ambulance to arrive the Event First Aid Medics administered aspirin, as aspirin has an anti-platelet action which reduces clot formation. Some further observations were performed and background information was gained from the patient using the AMPLE acronym. The ambulance arrived within 14 minutes of the call and the patient was transported to a hospital for further treatment. Fortunately for this patient, the outcome was good, a follow-up phone call a week later revealed she had a stent fitted to one of the arteries in her heart and was also diagnosed with dilated cardiomyopathy, a condition where the heart becomes enlarged and cannot pump blood efficiently. This woman, in particular, was a classic presentation that could have easily gone undiagnosed. She did not believe she was having a heart attack and just wanted Mylanta for what she believed was indigestion. This case study highlights the importance of investigating signs of indigestion thoroughly, particularly with this case, as evidence suggests women are less likely to present with typical central chest pain associated with having a heart attack. If this patient went untreated she could potentially have died. This case highlights the need for properly qualified and experienced First Aid Officers, even at low-risk events such as this exhibition event. More often that not, expos and exhibitions are covered by security guards who can only provide a basic level of first aid. 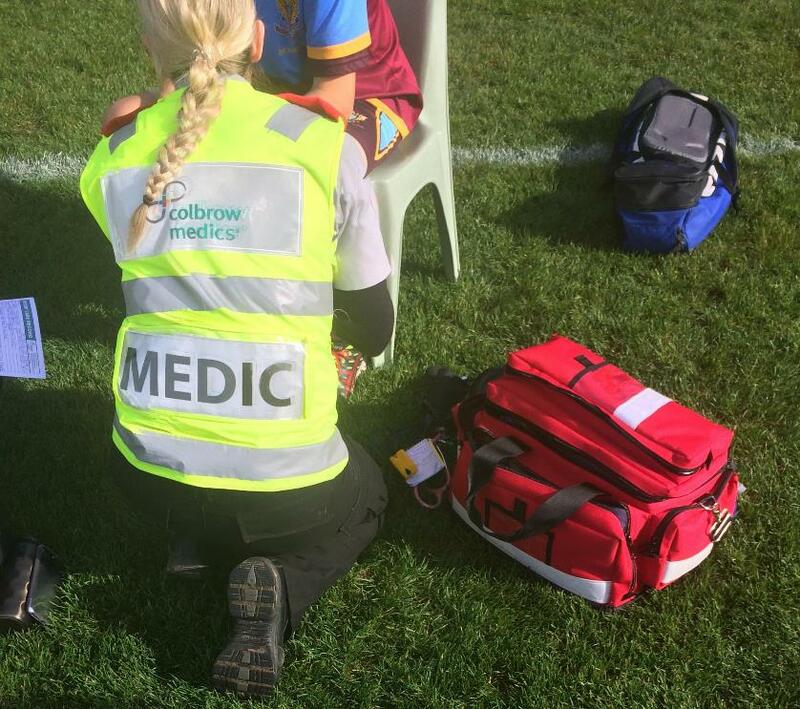 Colbrow Medics recommends that all event organisers and venues carefully consider what first aid and medical resources they have onsite and whether those resources can cope under stressful and/or emergency situations.